Text messages are easily disposable after reading and replying your messages. There will always be some text messages on your iPhone that you will desire to delete. The texting app that comes with every iPhone is grouped into conversations. However, how to deleting messages on iPhone 6 is not a simple task. Some data may not remove completely which can frustrate you later on. In the older versions of iPhone, delete text messages options was not erased entirely from iPhone. Then, iPhone has developed better at managing your deleted messages; the problem does not continue in the latest version of Apple’s mobile operating system. 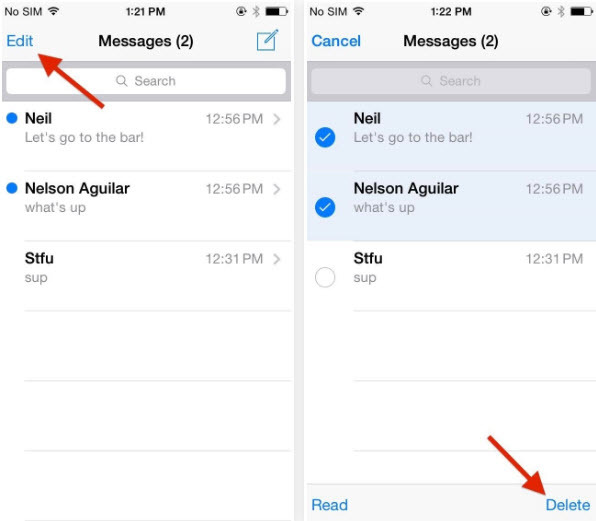 This article will educate you on how to delete text messages on iPhone 6. Step 3: When the conversation is open, select the message you want to delete and wait for the menu to display. Tap more when the list display. Step 5: Click on the icon next to the message to mark the message you want to delete. A checkbox will display to indicate that the message will be removed. Step 7: Tap the delete icon button at the left corner of your home screen to delete your message. Step 4: Select the conversation you wish to delete. There are two options: Click on the Edit button at the top left corner of your screen or swipe left or right across it. 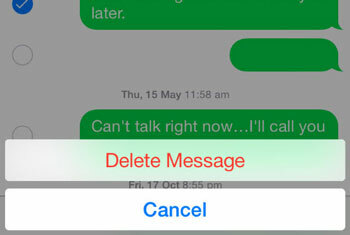 Tap the icon to the left of every conversation you wish to delete from your iPhone. Step 5: A delete icon will display at the right if you swiped across the conversation. Step 6: If you use the “Edit” icon, a delete button will display at the bottom right corner of your screen when you select only one conversation. Step 7: Finally, select any of the buttons to delete the conversation. Step 2: Click on “iCloud and Storage Usage”. After, click on the “Manage Storage” under the iCloud section. 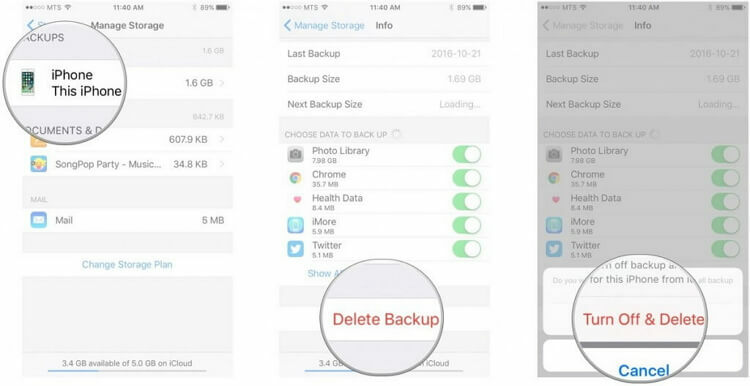 Step 5: Click on “Delete”, and the backup option will be erased completely. Step 1: Launch your iTunes. Step 3: Tap on “Devices”. 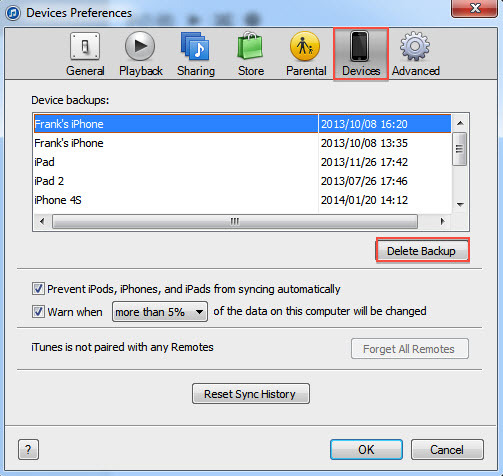 A list of devices with the backup stored on your computer will display. Step 4: Click on the backup you want to delete. Step 5: Select “Delete Backup” option at the bottom right corner on your menu bar. Step 6: Click on “Delete” and press “OK” to exit the preferences. 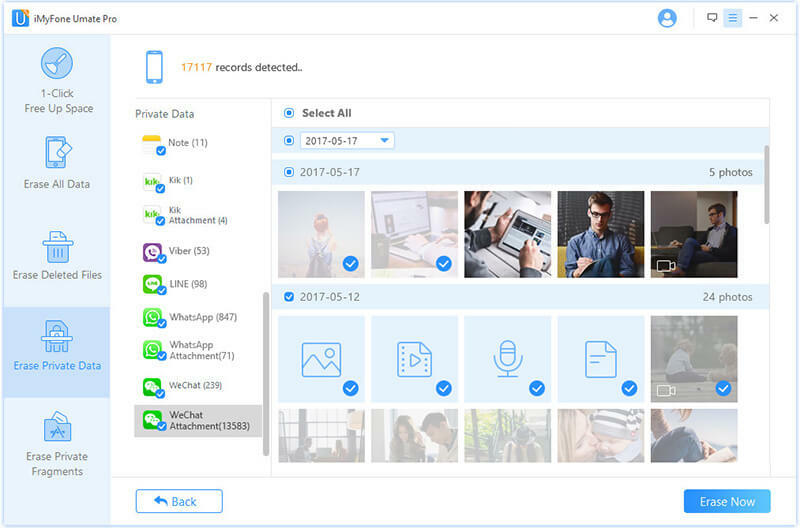 iMyFone iPhone Data Eraer for Win or for Mac for iPhone is a professional data eraser that helps to remove text messages includes the current and delete messages. It also helps to protect your private data from data criminals/hacks. The device erases all data with 100% unrecoverable guarantee. It completely deletes data and files which makes it a better option compared to factory reset option. Erase data entirely without any recoverable chance. Check and select before erasing text messages to prevent mistakenly erasure. Erase both current text messages and delete messages to protect privacy. Erase the incomplete fragments from WeChat, WhatsApp, Kik, Viber and many third-party apps. Offer free trial to clean junk files, caches and so on. Step 1: Open iMyFone Umate Pro and connect your iPhone 6. 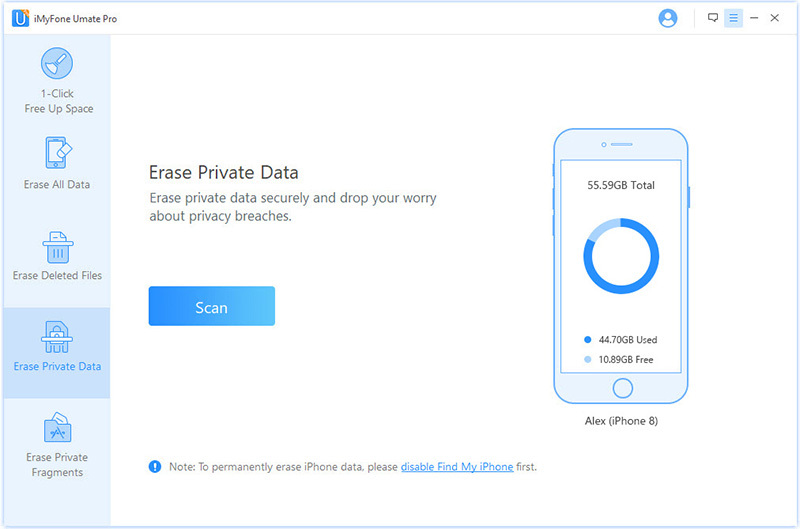 Step 2: Select “Erase Private Data” mode and let the software scan out your text messages. Step 3: Choose the messages you want to delete and click “Erase Now”. Step 4: Select the security level and input “delete”, tap “OK” and then let the software erase your messages. 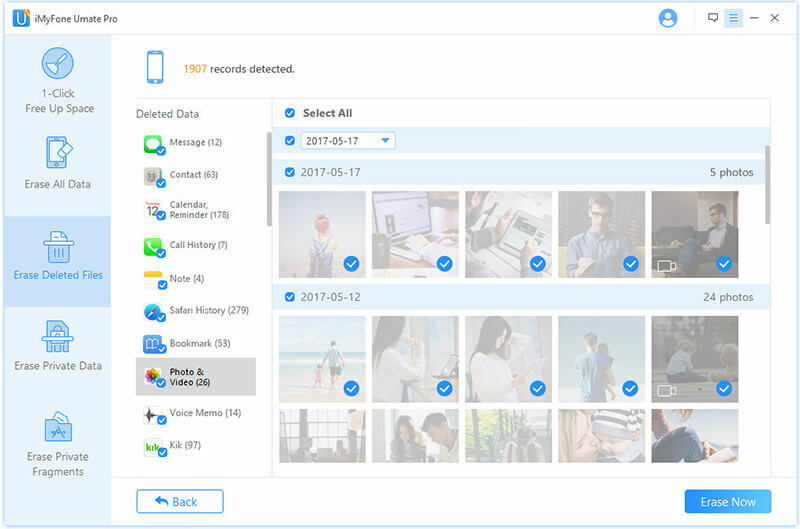 Step 5: When the process to erase current text messages has been finished, select “Erase Delete Files” mode and then repeat the process above. After that, you have permanently erased text messages on iPhone 6 with no chance to be recovered.